Winter is the harshest season when it comes to wear-and-tear on buildings and concrete. Not only does snow collect on roofs, but ice collects in cracks and spaces between bricks and masonry. It is smart to be prepared when the winter months strike. Ensure your buildings are ‘weather-tight’. You also need to evaluate your roof’s snow load capacity. Be prepared to remove excessive snow build up during storms if necessary. Without understanding the building, it’s very difficult to prepare a proper course of action. 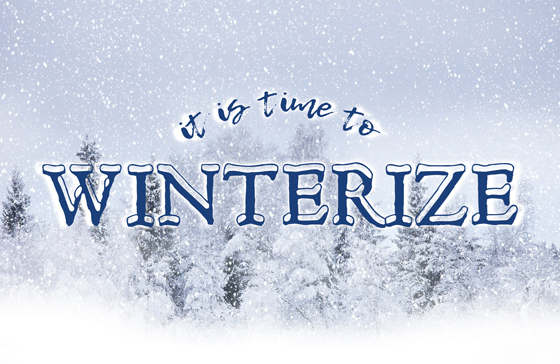 Let us help you evaluate if your building is ready for winter. By taking some relatively inexpensive preparatory and maintenance measures, a building owner can minimize damage and operating costs. Our Special Projects Group can assist you in making a winterization checklist and help with a better understanding of your building’s interior and exterior conditions. Increased Freeze & Thaw Cycles – When melted snow mixed with rock salt it creates a saltwater mixture that has a lower freezing temperature. This causes more freeze/thaw cycles, which in turn causes more damage to the concrete. The concrete will become more susceptible to the elements and lead to costly repair. With snow on the way, many worry about the dangers of falls on concrete steps and walkways. The most common solution is the spread rock salt on the ice. Melting ice can be effective but it can be damaging to the concrete. Never using Salt, Fertilizer or Chemical Deicing agents. Never use Deicers containing sodium chloride or calcium Chloride. Never use Deicer with Ammonium Nitrate or Ammonium Sulfate. This increases the number of Freeze-Thaw cycles for the Concrete. Best Solution – The best alternative to salt is sand. While it will not melt the ice or snow, it will provide much-needed traction, all the while not causing any damage to existing concrete below.